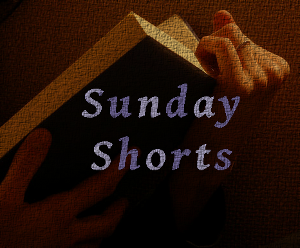 It has been awhile since I have done a Sunday Short and I miss it. A short story is a bittersweet for me. Part of me is happy that I can complete the story in such of small time frame. But another part of me wants to draw it out, wants to know the characters and their motivation more. I am still reading shorts from 16 Bars: A Short Story Mixtape by Ran Walker. 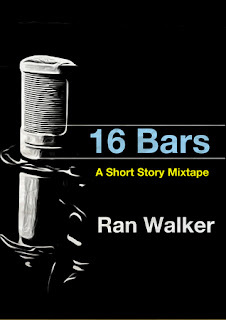 I just realized that there is one more story and then I will be done with 16 Bars... I already miss it. Dancing in my Dreams shows what Kyle is willing to go through to keep love alive. This was a powerful story. Not that the writing was any different than that of the previous stories but because of what Kyle was willing to deal with to be with Serena. I know there was going to an unexpected twist but I didn't think it was going to be that. Walker through me for a loop with that one, but I have to applaud him on making Kyle such a stand up guy. One of the things that I enjoy most about each of the stories in 16 Bars is that each story has a theme song. I have been familiar with most (if not all the songs) but Chaka Khan's "Through the Fire" was the prefect theme song for this story. I didn't really care for the end. It was a nice pretty bow type ending (even though it wasn't happy). I know it is said but it is beautiful. I have the same love hate for short stories as well. One minute I am thrilled I am done in one sit but if it was good..I want more!